A legacy of industrial pollution is allowing slimy ooze to thrive. 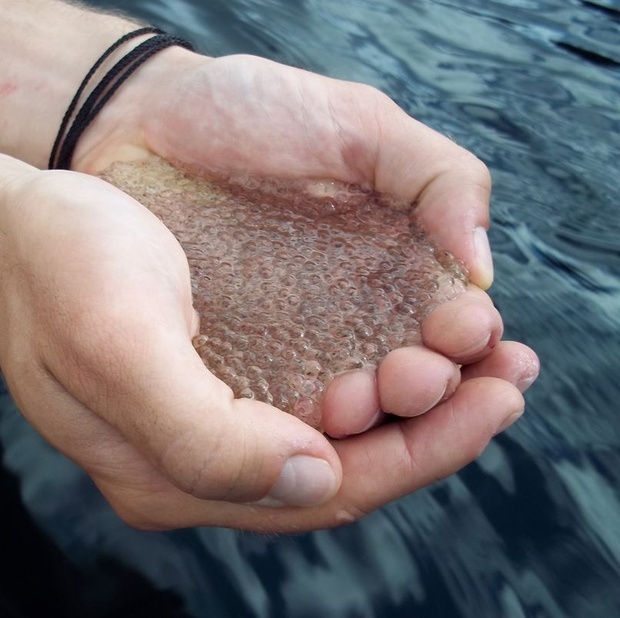 That’s the gooey news from scientists behind a new paper in Proceedings of the Royal Society B, who say that populations of this particular organism have doubled since the 1980s in many of Ontario’s lakes. The reasons involve a complex dance of species, but here’s the short version: Acid rain caused by smelting operations and other human activity removed calcium from the soil in drainage areas. That depleted the calcium levels in many lakes, which has hurt a kind of plankton (Daphnia) that needs the element to build armor. Enter a competing plankton, Holopedium, which requires far less calcium to bulk up and is coated with a gel that’s excellent at repelling predators. This entry was posted on November 19, 2014 by Amir Alwani. It was filed under Canada, news, science .